I have someone in my life who just rubs me the wrong way. This person annoys me, provokes me easily, and angers me. My reasons are valid, but my reactions are not. I’ve allowed them to have far too much control over my negative emotions. They are an annoyance to my joy, they cause me anxiety, and I find it hard to shake the aggravation that spills over into other compartments of my life. …at least I think that’s what Paul says. I started a new Romans study, and Paul smacked me right in the face in the first chapter. The book of Romans has a way of doing that. I’ve experienced it before, and last night won’t be the last time, I’m sure, since I’m only one day into this study. Paul is talking about himself and about those with whom he served. But how can we learn from him? How can we frame our life with the reason for his words? We, too, have received grace for a reason. Yep. We’ve already been offered salvation, and we’re sealed into His saving grace through accepting the free gift Jesus has offered. But the grace Paul is speaking of here is probably an additional gift…the gift of being able to share faith with others. Keep reading and you see that the gift of grace is being able to be someone who “…brings about the obedience of the faith…” Part of our purpose is to do that, and the best way to do so is through our own example…through our own life and the way we live. Fabulous. Paul was obligated to that. As a follower of Christ, am I obligated to the same? Paul knew his role and appointment was to go and spread the good news of the Gospel, especially to those who weren’t Jewish. But the barbarians, too? Yep. I couldn’t help but pause to think over how these two passages stood out to me. Perhaps a part of my own purpose is to be an example to others…to show them a kind of faith that brings obedience to God’s leading…perhaps even to the barbarian in my life. I have needed time away, and I’m not sure if it’s been long enough or not. If you are reading this and still following me, thank you! I’ve posted tidbits and a few thoughts on Facebook over the last few months, but these pages have remained blank. It’s my story… it has had some heartache, drama, hardships, hope and twists in it over the last few months. These things have all left the writing side of me feeling drained and empty. I’m not going to make any New Year’s resolutions about how you are going to see more of me on these pages in the coming months. (You already know I don’t make resolutions.) I don’t have any promises or epiphanies to claim about the desire to write more. So, if you are still reading this and following me, thanks! I’ve just needed time away. It’s been a challenging year. Twenty-fifteen was full of amazing opportunities, new beginnings, laughter, love, obedience, growth and hope, but it was also full of uncertainty, personal difficulties, some depression, a bit of drama, loneliness and a broken-but-not-crushed heart. I made quite a few changes in my life in 2015… changes I needed to make to keep me afloat mentally. Writing has been a place of solitude and meditation for me in the past, but the thought of writing so that I had something to post over the last few months didn’t bring comfort. It became another “to-do,” and I knew it wasn’t healthy. So I took some time away. I also took some time away from participating in and facilitating women’s studies over the last few months. I didn’t want to, but the demands I was feeling from my home life necessitated me putting others before me, and the others had to be my family and not the women I was doing life with in groups. It was difficult for me to accept, but there are always blessings when we choose obedience, aren’t there? Obedience looks different in the various seasons of our lives… I’m learning that, and I’m learning to embrace it. What would be recognized as following in obedience in one season looks very different after the passage of time, the growth of a soul and the nurturing of a Relationship with the One to whom we are called to follow. So, here I am writing and posting that writing. Later in the week, I’ll begin to facilitate a Bible study and short-term group for women. It’s the first time in months that both have happened, and here they are taking place within the same week. Circumstances haven’t changed much in my life, but there is hope to be found in taking time away. There is clarity, there is peace, there is rest, there is solitude, and there is opportunity to be found when we make the time to be still. When we carve out the time to be still and know that He is God, and that He can and will move in our heart and our life in His timing (and we’re ok with letting His timing be His! ), good things can happen. Writing and facilitating time in the Word with other women… those are two ways in which He has changed me and kissed my hope-filled soul in the past, so perhaps He will do so again! Thank you for following the up and down journey of Hope Surrendered! Soap operas used to be a part of my weekday life. I was raised in a household where watching the afternoon television dramas was the norm. If I was home sick from school or if it was summer vacation time, I remember them being on the family room TV. On early-dismissal days, I’d get off the bus and walk up the road quickly so I could catch as much as I could while they were on the TV during the afternoon. I knew the soaps weren’t “real,” and the morals I was being raised with rarely showed up on the screen. Even though our household morals bore no similarity to the soap storylines, I did see some dramatic similarities with what was on that TV in relation to how conflict was handled, often escalated and rarely resolved. I caught the soap opera bug. I grew into the same habit. When I went off to college, I started watching the afternoon soaps when I wasn’t in classes. I’d get my calzone and coke in a to-go box from the dining hall, and I’d head back to my dorm room to catch up on Cricket, Danny, Jack, Ridge, Brooke, Thorn, Tom, Margo, Reva, Billy and Josh. Even to this day, I can still remember their names (oh, that’s just sad!). They were a part of my life. They were the part of my life that made it glamorous and bold to want drama, cat-calls, stilettos, attention, a big house, big money, a big family, a corporate career, and all that was beautiful, but not at all for the right reasons. My search-for-tomorrow dreams about the future launched my young-and-restless life into a search mode for a guiding light as the world turned around me. The trend continued. With the invention of the video cassette recorder, I could spend a long day at work, come home and eat dinner on the couch, and burn through three-and-a-half hours of soaps in just over two hours while wearing out the decal on the fast-forward button. When the tape would get too fuzzy from record-over after record-over, I’d just toss it and pop a new one into the VCR. Gosh, how I hated when the power would go out and I’d have to reset that darned machine! That trend continued, too. Then I had kids. At some point, it dawned on me that it probably wasn’t a good idea for my little ones to be taking in fights over who stole whose husband or the myriad of seemingly, slightly odd, father-in-law sleeping with daughter-in-law relationships that I enjoyed watching. … so I’d wait until the kids were napping or off to bed at night before popping the tape into the VCR. 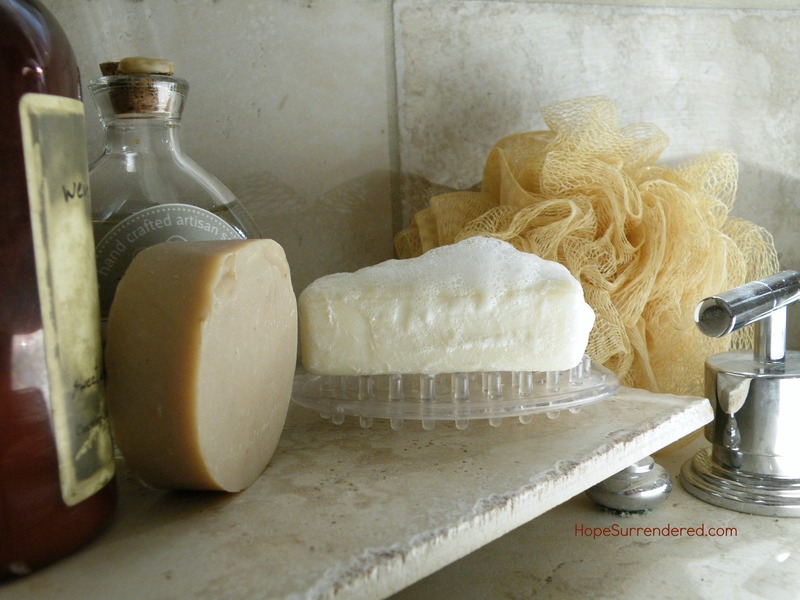 My husband hated my soap-watching habit. He’d blame them for my dramatic outbursts or manipulative scheming to get my way. I’d brush it off saying that it would take me away to another world much like reading a good book would envelop me for a few hours at a time. “What was the difference?” I’d say. While the soap trend continued, I also started going to a different kind of church. It was one where people carried a Bible with them on Sunday morning, where a band played great-sound music with lyrics I could understand, and one where people didn’t feel like they had to dress up to attend. This place also talked about that Book like it had relevance to my life today…like it was more than just a book filled with stories and ancient history. So, the soap trend continued and the church thing got going … and then I noticed something else began to change. Church – which I had done most of my life – started to become something I thought about more than for just a few hours on a Sunday morning. It got to be more of a daily time in my life…where it would jump into my thoughts, where it would stop me in my tracks, where it would give me a flashback to a heard word, or where I’d be humming a few bars from a song we’d done on Sunday. That trend continued, too. The prayers in our house turned away from “God is great, God is good” and “now I lay me down to sleep” toward actually having a conversational praise, worship and thank-filled time with some “if I could also ask You for…” in them. Somewhere along the way, I started to feel convicted about my soap watching. Convicted, as in “I probably shouldn’t be doing this,” as in “this makes me feel weird in a wrong way,” and as in “shouldn’t I be doing something more productive?” kind of way. You see , “conviction” is one of those words that can be a double-edged sword. It’s one of those words that can have a negative meaning and a positive meaning … one of those words that can be used for offense and for defense. I was feeling “convicted” to stop watching soaps because of their content, and I was feeling “convicted” to move in a new direction. After a few arguments with myself about the “take me away” aspects versus the “what are you feeding into your mind?” aspects, I decided to stop watching soap operas. Cold turkey. Yes, I decided that’s how I had to do it. That was about 10 years ago. I have never regretted it. Never. I think it was a part of that “conviction” thing. And, I also think it was about obedience. I know now that it was He who was within me who was convicting me and calling me to be obedient to what He was trying to plant within me. It would have been much more difficult for Him to plant something within me that would bear recognizable fruit if my soil was filled with thorns, ridges, discord, jealousy, impurity, selfish ambition, dissension and the like. Is He calling you? Is He convicting you with a double-edged sword? Yes. I know. There has been another lull in my posting. Perhaps I should apologize. Not necessarily to you, though. I need to apologize to Him. I’m a good starter, but I’m not always a good finisher. I enjoy the creative process and what follows to get ideas off the ground, but I’ve had to learn to be the type of person who submits the final report or finishes the project to the end. I don’t have an issue with this when it comes to doing a project for another person, for a group or for a supervisor; my issue shows itself when I do something for me. 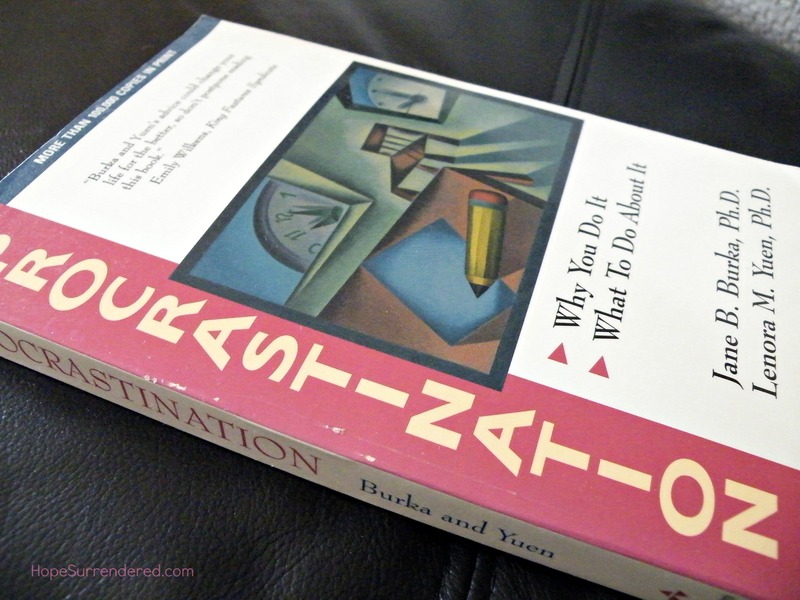 I guess you could call me a “procrastinator” of sorts — when it comes to my own projects, ideas, tasks or to-do list. I have a theory as to why I am this way … and perhaps I’ll share that with you some time in the future! So why the lull…again? I wrote about this once before. This time, it’s not about listening to my calling; it’s about being obedient to my calling. I’m struggling with baring my soul. It was easier to write when my audience only knew me via the web. Now my audience is a mix of friends, family, acquaintances, strangers AND those who found me on the web. Sometimes it’s easier to be more open with those who don’t really know you. It can be tough to be open and reflective with those who see you at the post office, sit beside you in Bible studies, live over the mountain, catch a status, read a tweet or remember you when you wore your hair in piggy tails. My calling hasn’t changed. I still feel as though He is leading me to share how I’ve surrendered my own hopes to Him in an effort to seek His will, strengthen my walk and live out the life He has planted within me. My audience, however, has changed. …because you want to follow my journey. …because a friend recommended you to me. …because you want to support me as He’s called (thank you!!). …because you want to see my cracks. …because you are cheering for me through life’s challenges. …to hold something over me. …to take credit for something in my life. …to see if I’m genuine. Some of you are reading to see if I’ll crumble. And then, there are some out there who aren’t reading these posts at all…some of whom I wish would be reading them. These things are all a part of putting oneself out there. I know that. I’m just being really honest when I say that it makes it tough to write sometimes. Rather than write, I procrastinate. I start a lot of posts, but I am challenged to finish them. His calling for me would be the reason that would rise to the top. The method of our calling does sometimes change, but, as believers, our purpose for being called does not. We’re called to live our lives in such as a way as to point back toward Him. No, we don’t all have to write a blog as a part of the process. I could live my life more quietly by picking and choosing who knows some or any of the details. I could walk a fine line to be seen but not heard. I just feel I’ve been led to reach out to others by sharing parts of how I find my hope, which, every now and then, leads others to reach back to me for prayer, confirmation, guidance and God-honoring input. Maybe, just maybe, some of you are finding a kind of hope in your own life by reading and pondering what I share. So, even if all of those other reasons I listed above challenge me and cause me to occasionally feel as though I’m under a magnifying glass, and if being obedient to His calling points back toward Him, honors Him, honors His blessings in my life and honors others, then I need to move forward. I feel “fresh and filled with life” when I follow His calling in obedience, and I don’t want to become “bitter and toxic” by failing to recognize or share the grace, gifts and joy I’ve received from Him in abundance. …which means I should be obedient to His calling on this season of my life. It also means I’ll seek to write more…for your sake, for my sake and for His glory. I don’t know about you, but I am looking at my calendar in utter amazement. 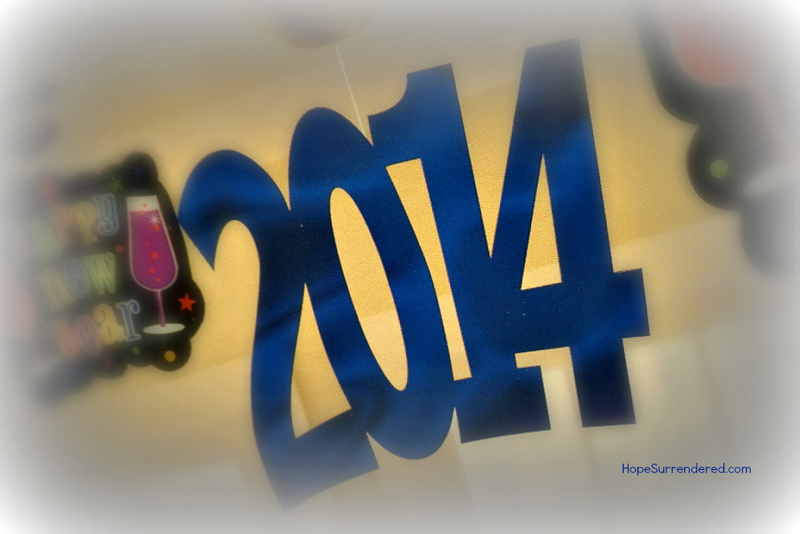 Twenty-thirteen has just flown by, and we are almost ready to cross over into 2014. Many of you are hard at work creating yet another list you’ll check twice as you are resolving to be less naughty and to be more nice — at least to yourself. We create resolution lists about exercising more, eating less, cleaning out our inbox, making more time for others, etc., etc., etc., and, for at least a month, we do a pretty good job at what we’ve resolved. Do you still have your 2013 list? Why doesn’t it last? Only YOU can answer that question about your own resolutions! You made them, so why didn’t you stick with them? I don’t make New Year’s Resolutions. I used to, but many years ago, I resolved not to make resolutions. I’d make good ones with good intentions where the results would be good for me and good for others around me. Even with the simplicity of them, I’d still fail at some point during the year. I got tired of failing at keeping them. The well-intentioned list became a list of glaring failures. I had enough of those in my life without adding to them each year, so I quit making resolutions for New Year’s. So…now that you think I have a party-pooper attitude toward resolution making, are you wondering what I do actually do? I still kiss my husband at the stroke of midnight. I still raise a glass of whatever to ring in the new year. I still resolve that the next year will be different. I just don’t make a list. For me, resolving not to make resolutions isn’t about refusing to change. A list doesn’t create change. Change happens when the heart, the head and the Spirit connect. All of them. Thing is…that rarely happens because a list has been written. And, if it does, the results are short-lived and are rarely long-lasting. What has worked for me is listening to the Spirit within me leading me toward a change. (You’ll know it’s Him, because it’ll/He’ll keep showing up.) I then will pray about it — sometimes for quite a long time. Sometimes those prayers are whiney ones (because I don’t like change), sometimes they are “You need to help me” ones, and sometimes they are “if this is Your will” ones. Sometimes the head gets in gear before the heart; sometimes the heart has to convince the head. When the Spirit leads and then the head and heart follow, amazing changes happen. Really amazing changes. Isn’t that what we’re all really looking for? My other issue with New Year’s Resolutions is with the timing. I see no reason to make changes on January 1st just because the calendar year is a new one. If change needs to happen — or if we are being led to change — it won’t just happen on January 1st. It might be January 21st, it might be March 2nd, it might be August 5th, or it might even be November 19th. It’s my preference to allow the Spirit to lead me instead of the Gregorian calendar. I’ve just found more success that way. We need to be prepared to get on-board and change when change calls. Now…some of you know me, and you know that over the last few years, I have named my years. This officially started for me in 2012. In 2011, I went through some pretty terrible emotional tribulations. My world was turned upside-down in many ways through the choices of a few others close to me. Changes in faith, trust, relationships, truths, perspectives and hopes were on a rollercoaster ride, but when it all happened, I resolved — right away — to walk in more faith. I didn’t consciously choose to name 2011, but looking back, if I had named it, it would have been the Year of Faith. The resolution get through 2011 walking in more faith led to me naming 2012 the Year of Obedience. The faith journey I clung to in 2011 brought to light a need for me to learn to be obedient to the Lord. I think obedience is an ever-learning, ever-growing and ever-needed trait, but 2012 was fruitful for me in that area, and many blessings were realized as I worked on my walk with Him. Through obedience, hope blossomed. So when 2013 rolled around, I felt led to name it the Year of Hope. Most of us think of hope in terms of a wondering hope, but this was an expectant and trusting hope built on my walk with the Lord. In the Year of Obedience, I began to see glimmers of hopes I had desired, prayed for and yearned for become realities so much greater than what I had asked or “wonderingly hoped for.” I wondered if it were possible to surrender my wondering hopes to Him to see what He might be able to do with them … and He awed me beyond my belief. Many of my wondering hopes became expectant hopes in 2013 as I began to trust in His hand, His blessings and in His will for my life. And so, here we are, ready to cross over into 2014. Faith, Obedience and Hope have been good years, but there is still so much more of a work He needs to do in me. I feel the Spirit leading me to trust more. In my readings, my quiet time, my prayers, my praises, my celebrations, my obedience, my hope, and in my faith, trust keeps coming forward. So, I have resolved to name 2014 the Year of Trust, and to work on walking in His will in this area of my life. His promises and His blessings are many. I know that, believe that and do trust in that when I read His Word. My expectant hope for 2014 is to learn to trust Him on a new level…one well beyond words. However you resolve to handle your resolutions for the new year, may you find what He has planned for you…not just what you are looking for.